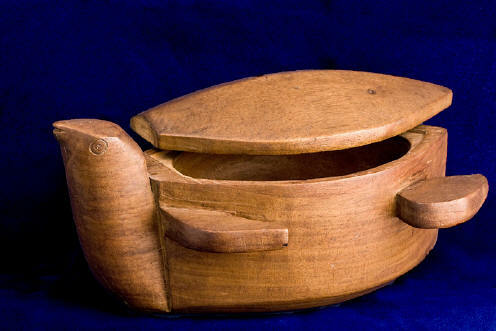 High quality hardwood hand carved turtle treasure box/bowl with lid, from Samoa. Tapa cloth (or simply tapa) is a bark cloth made in the islands of the Pacific Ocean, primarily in Tonga and Samoa, but as far afield as Java, New Zealand, Papua New Guinea and Hawaii. Tapa can be painted. 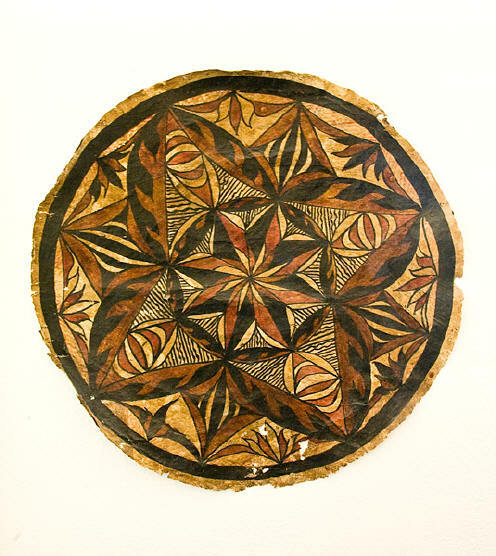 The patterns of Tongan, Samoan, and Fijian tapa usually form a grid of squares, each of which contains geometrical patterns with repeated motifs such as fish and plants, for example four stylised leaves forming a diagonal cross. Traditional dyes are usually black and rust-brown, although other colours are also known. Tapa cloth is also known as "bark cloth," because that's just what it is. 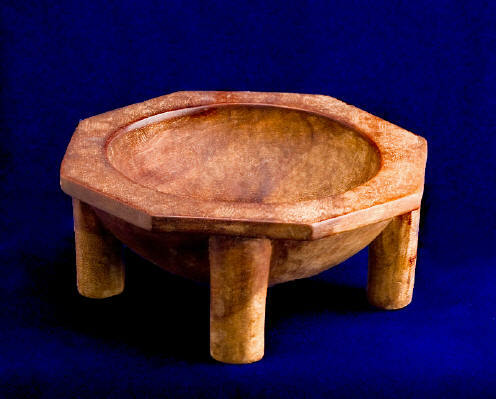 It is cloth made from tree bark. It's usually from a mulberry tree (Broussonetia papyrifera). 8 of 30 Collected in American Samoa during 1948 by the Horne family. 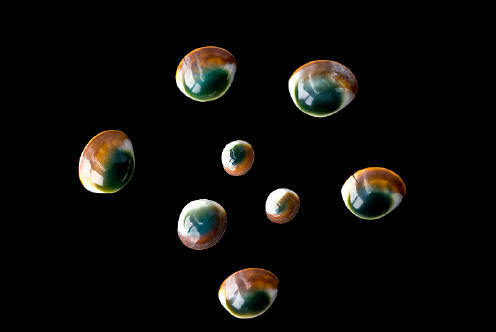 Sizes from 1/2" to 1"
Cat's Eye shells -- each one the operculum or foot-closure of a sea-snail called a Turban Shell or Turbo -- are widely used in Europe and the Middle East for protection against the evil eye, no doubt because they themselves resemble eyes. Often made into buttons and pendants. Kava is an all natural soothing and calming beverage powder made from theroots of the Kava plant. Once the roots are harvested they are sun dried andground into powder.